One of the biggest questions I get in response to videos I make about arborists and tree services is, what does an arborist actually do? What are their day to day duties and what can an arborist do for me? The gold standard for arborist is to be certified and licensed by the International Society of Arboriculture (ISA). They are one of the biggest organizations worldwide who train and certify arborists. What are the education requirements to become an arborist? As well as a host of other skills required to operate in the field autonomously as an arborist. A consulting arborist is a professional who has obtained a diploma (Certificate V) in Arboriculture. This course is a lot more detailed to further the student’s studies, so they can operate as a consulting arborist. Do you need a license to practice arboriculture? In the United States you will need a license to practice as an arborist in your city. If you are hoping to operate a tree service and carry out works such as tree trimming, tree removal and arborist reports, you will require a minimum of certificate III in arboriculture. Most cities issue a license and require you to present qualifications and public liability insurance, before they will issue you with a license to practice. Training institutions such as the ISA does give you the skills you need to work, but depending on the city you live in you may not be able to obtain a license from them to legally carry out work. The city themselves need to be able to confirm your credentials. How can I become an arborist? Becoming an arborist is much like becoming an electrician or a plumber. As it is a trade you will need to first get a job in the industry. When you are employed by a Tree Service company, they may choose to send you to a training program to get certification, or you can elect to do it yourself, and then begin attending arboriculture classes. If you currently own a lawn care or garden maintenance business and you are looking to add tree services to your list of skills and expand your business, you may also begin studying. Because tree services, landscaping and lawn care are all very closely related, being a certified arborist to enable you to expand your services into tree trimming and removal, which will mean a great boost for your business. Most training institutions do acknowledge that a lot of on-site training can be obtained without necessarily getting formal training. If you can demonstrate competency in many areas of arboriculture’s service-based tasks, you can get exemptions and skip certain modules of the course without having to formally sit through the training. Over the last 10 years there has been a huge growth in the public awareness of the importance trees play in our everyday life. From cleaning the air to reducing the heat island affect and also improving the quality of life for people living around these natural wonders, there has been a rapid growth in the demand for skilled professionals in tree care. There are still a lot of unlicensed and shady tradesman who run tree service companies. These will be a thing of the past sometime soon as the skill levels expected of arborists are growing as people’s knowledge and appreciation for trees grows. Depending on your city, there are always opportunities to work as an arborist for the parks and gardens sectors to maintaining street trees and trees in public spaces. In other cities these tasks are subcontracted to medium to large companies who are always on the lookout for skilled workers. In all green cities, there will never be a shortage of demand for skilled arborists with a good work ethic. The salary of an arborist can vary depending on the duties that you carry out. If you are working for a medium to large company you could expect the following pay for the job title. 1. Groundsman or assistant to a climbing arborist – your wage would be quite low. You could expect to make between $25,000 and $30,000 per year. 2. A climbing arborist – These guys and gals have a much better skill set and are in higher demand. You can earn 2 – 3 times what a groundsman can earn. Climbing arborist can earn $60,000 – $100,000 per year. You will find most of the time climbing arborist contract their services week to week to larger companies with government contracts. They actually run their own businesses on the side and can make a lot more money doing it this way. 3. Running your own tree service – If you were to open a tree service company, then the only limits to your earning capacity is you. A medium-size tree service company can turn over anywhere from $150,000 -$300,000 per year. How do I hire an arborist near me? Hiring an arborist is as easy as looking up a list of local tree arborists or tree services through an Internet search. That being said, the skill level and prices charged by arborist does vary greatly, so it does pay to do a bit of homework before you actually go ahead and hire your arborist. Looking at company reviews on Google or Facebook is one way to go about it, but these days we all know that reviews can be faked. Lots of companies just get their friends to give them a five star review when they first start out. This way their 20 – 30 x 5 star reviews drown out any complaints they may receive. Go Tree Quote is a FREE service that matches you with the best priced and top voted local arborist in your city. When you fill out the two minute form letting us know exactly what tree work needs doing, such as tree removal or tree trimming, we then forward those details onto three local arborists to price your job. We have found using a monitored and closed peer review system by location ensures you get the best quality service at the lowest possible price. It just takes two minutes fill out the form to the right and submit it with some contact details. 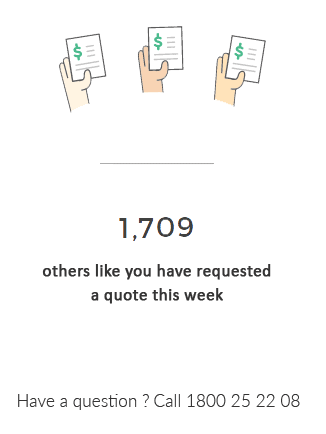 We can have quotes sent to your inbox within 24 hours. Again this is a FREE SERVICE and there is no obligation to hire once you have received your estimate for your tree job. What does an arborist do in the winter? It is widely known that there is a lot less work for arborists during the winter season. Some tree care companies do have second businesses on the side and other nomad arborists travel to where the climate is warmer to work for other companies during the colder months. This is actually something you can take advantage of. As tree services have little work on in the winter, you will find they charge a lot cheaper prices as the competition is stiff and work is scares. You can save you 20 – 30% of the price of tree removal and tree trimming by hiring in the colder months. All small business fluctuate their prices for jobs depending on how much work they have booked in advance. If they have a lot on and are booked for a month in advance, they will increase their prices. The same is true when they have little on. They are more inclined to reduce their prices in the colder months in order to drum up a bit of work to see them through. I hope this article has given you some great insight into what exactly and arborist does and what they can do for you. If you have any more questions please feel free to contact us through the contact form or fill in your job details and submit them to get in touch with the best priced local arborist. Tree services that are clever, usually have a firewood business on the side. During the year they are stockpiling timber to sell on later on as fire wood. This keeps the workers busy and keeps the money rolling in during the winter months. Although there may not be too much work going when it comes to tree removal and pruning, there are plenty of people who are after good quality fire wood. Who else to sell it to them then the tree specialists themselves.